This classic pendant will always be in style with its timeless design! 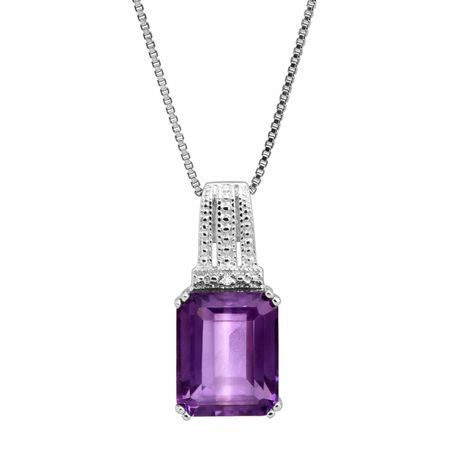 A 3 1/3 ct emerald-cut natural amethyst is set in a traditional sterling silver rectangular stage, embellished by a diamond accent and ornate drop-down bale. Piece measures 11/16 by 1/4 inches. Comes with a sterling silver 18-inch box chain with a spring ring clasp.